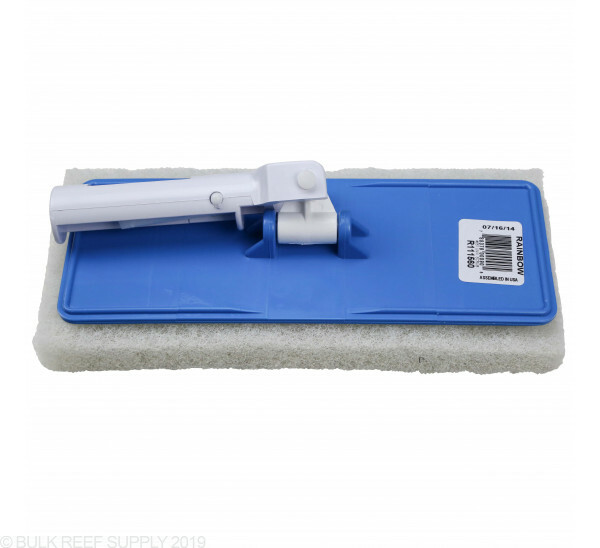 The Lifegard Universal Scrubber is perfect for larger glass or acrylic tanks that magnet cleaners may not get to or for those hard to reach places. The included handle is on a universal joint making it glide and move smoothly at all angles. 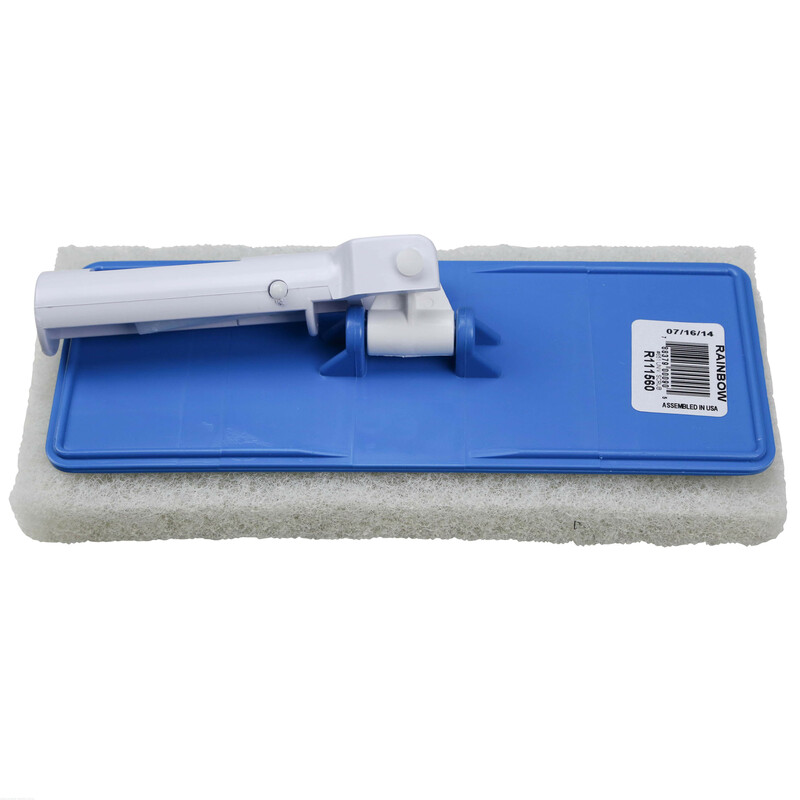 Cleaning Pad Footprint - 10" x 4.5"
If you have ever seen a professional service company clean and service a tank they do not mess around with magnetic cleaners, they reach right for the Universal and Fixed Handle Scrubbers. 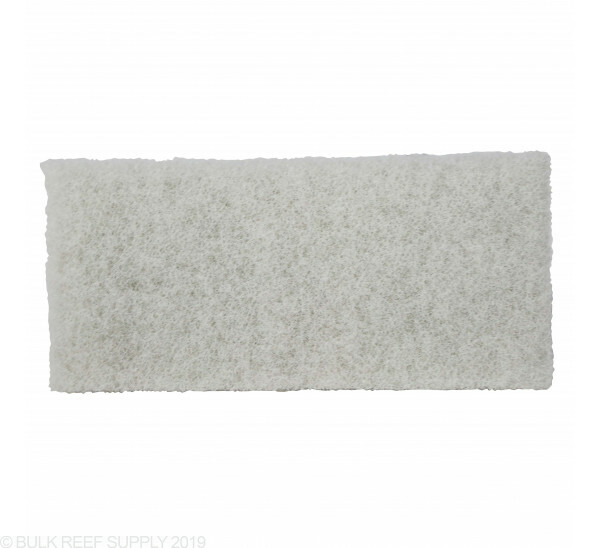 The Universal Scrubber covers a large area, and the included grab handle lets you apply just the right amount of pressure for the task at hand. We highly recommend starting from the top of the tank and working your way down to the bottom. It is also wise to visually inspect and clean the pad before and after cleaning sessions, looking for any sand or foreign material. 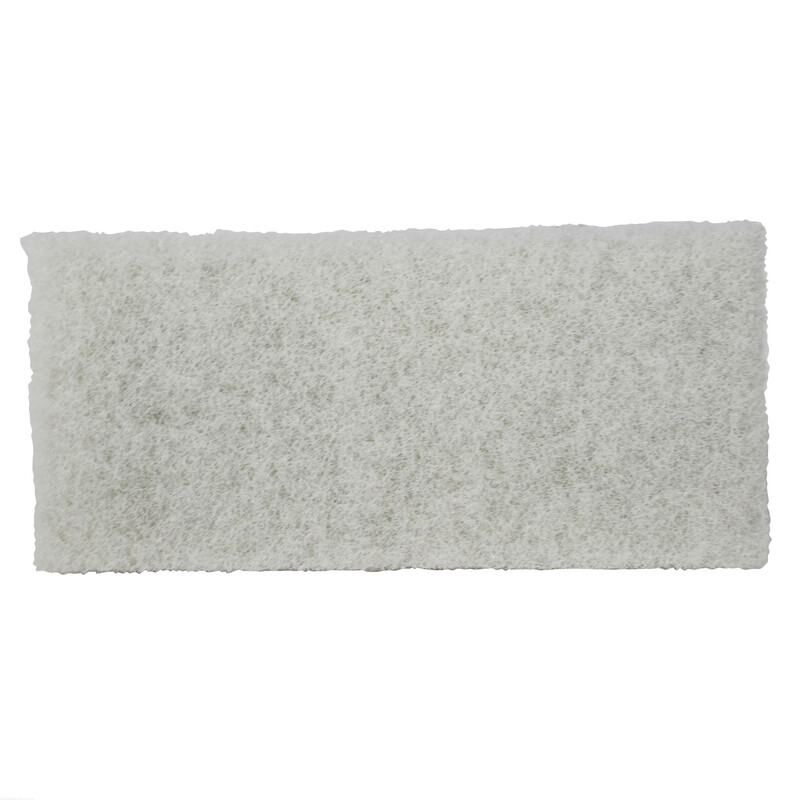 That will minimize any risk of having sand caught up in the cleaning pad and possibly scratching your tank. Replacement pads are available and can be quickly changed out when the pad ages. This scrubber can accept a Lifegard handle. We don't currently have these handles in stock, They can be purchased through many different online retailers.